# YoshiDivine : ok, next problem on my list is feng wei... i seem to cant find an opening. i understand some of his moves but the way they are put together by people seems to be invincible. any tips? Any time i have trouble with a character or move the first thing i do is deff training in practice, normally with a friend. Just the other day i wonder if feng's up forward 2 was punishable. With Yoshi couldn't find a damn thing but i did learn if i see it coming(like after a stun) i can up 3+4 and juggle, works everytime.....and i was like wtf 0_o....i love Yoshi. Divide just invite me to a game and were work on it together. @TenTen, good point, pure laziness. but here goes. i realize that the triple dragon is not an easy thing to see coming. its the move where feng slightly bends his knees and swing his arms wildly twice then an over the top hammer punch. the 1st hit stuns u then the second hit sweeps you off your feet and the 3rd is a B! my problem is thats its fast for a low hitter, too fast to be exact. another thing is that it appears as though most of his moves push u off, so a jab punish is not gonna connect for most of them. feng and paul seem to be really cheap and over-powered. they both a quick lows, or camouflaged lows, as in, they stand up and hit u low real fast [while stand]. i'll write about the specific move commands later. I think you can punish that particular with df+4, but I could be wrong (I typically won't let the string go past the second attack). If you can identify the first attack, just parry the second. Here's a clip of me vs "the best Baek online" (lol). We played a match first to 6, I won 6-3. This was match 2 after about 15 minutes of warmup, so I wasn't the most consistant. b,b+1+4~1~b,b It shortens the spins so you have better recovery. Normally followed up by u+3+4 or u/f+4. b+1+2 also work to evade wake-up mid kick. Thanks much grey. lol i like this, its weird, i find no one my equal, to a point now that i've been demoted twice. i just lay on my back and sometimes upside down relative to my tv screen and just fight lazily. i feel at peace. i kinda feel the way i used to on tekken 3. m on a path of learning slowly. me n yoshi are now one. and now, it doesnt hurt anymore when i get demoted, because the ranking system is full of pure fuckery and boosters. am a juggernaut god dammit!! # YoshiDivine : because the ranking system is full of pure fuckery. qft, ranking system is just fucked up. # YoshiDivine : me n yoshi are now one. Not sure if this is going to help. # NoodleHead : Not sure if this is going to help. Awesome, thanks Noodle. It was very informative and it definitely helped. And I agree man, I cringe every time you say how stupid some of the properties of his moves are lol. But it's okay though, still love Yoshi. Gotta get over it and just dedicate the time and effort to get better hehehe. 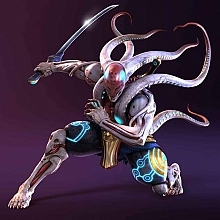 # Tenshimitsu : It's a great feeling, isn't it? Oh yes, it feels wonderful. right now am just craving data, pure knowledge. I now believe Yoshi is for champions, people who can take the hard ways of life. most of the other characters are easy compared to him. i believe yoshi players are stronger than all the rest players. [nuff hair pon we balls]. m workin on getting to the tenshi and noko level which i call THE ORTHOPLEX [ORTHODOX COMPLEX], Noko-Plex or Tenshi-Plex. Thanks for the link noodle head, its very informative. I listened half of it so far. I have a weird but entertaining question for you guys! here goes! YoshiMitsu vs Pai Mei<-[Kill Bill Version]. Tell me how u guys figure the battle would go. A fight from a tourney in which I placed 9th-12th. Some people know that I wasn't in good shape that day ^^ But anyways, I'm satisfied, the fights I lost were very close. I hope they will be uploaded as well. There are also some other fights of top Polish players up there. what the heck? tenshi, you n i play very similar! except for the helicopter thing u do after a certain combo. and who normally wins in a match between u n ur boyfriend?